Free shipping and returns available on every order! This policy is designed to help you use our brand and assets, including our logo, content and trademarks without having to worry about negotiating a separate agreement with us or talking to our lawyers. If you?d like to make any use of our marks that is not covered by this document, you must contact us at info [at] theiacouture.com and include a visual mockup of intended usage. 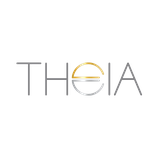 Theia?s marks include, but are not limited to, the Theia name, logo, and any word, phrase, image, or other designation that identifies the source or origin of any of Theia?s products. Do not modify or alter the marks or use them in a confusing way, including suggesting sponsorship or endorsement by Theia, or in a way that confuses Theia with another brand. Inspired by the Greek Goddess of light, the THEIA collection seeks to bring out every woman's inner goddess. The line combines sophisticated and elegant styling with luxurious silks, European brocades, laces, and prints. THEIA?s exquisite beading and embroideries are created by some of the finest couture studios in the world. Each piece is meticulously stitched together to create exquisite gowns and cocktail dresses that flow beautifully around the body. The woman who wears THEIA will be filled with confidence knowing her dress fits wonderfully and looks beautiful on her, thus naturally allowing her inner goddess to shine.